In the olden days of B2B sales, if someone didn't pick up the phone when you called them, you knew it. Obviously. Because they didn't pick up the phone. Duh. Not exactly splitting the atom here, Mr. Oppenheimer. If you need more discussion on this point of fact, please call Nurse Ratchet and I'm sure she'll be able to up your dosage. Lots has changed about B2B sales - but when people don't pick up the phone today, you still know it. But just because that's the same doesn't mean EVERYTHING is the same. Anyone who uses a phone for business in 2017 knows the rates of "connecting to a human" in the 1990s vs. today is ridiculously different. It's been reported that up to 80% of people won't answer a call from a toll free number, out of state or unrecognized number. That's 80 out of 100 calls not even picking up. Sure, we've all read and heard the stories a rep making 87 cold calls to someone and then on the 88th they connected and closed the deal. Great story. So if you have 200 accounts and 2 contacts per account, because you should be calling more than one person at an account, then if you make 135 calls a day you can call every contact 88 times. If that works for you - AWESOME! I'm glad. More power to you, I'm glad you're so successful. Me? I can't call 135 people a day. I don't personally find that amount of time and energy spent doing that will get me the results I need. If you think me a weak or cowardly salesperson for saying that, then so be it. I'm well past the age I need to prove myself by acts of strength or willpower or courage. 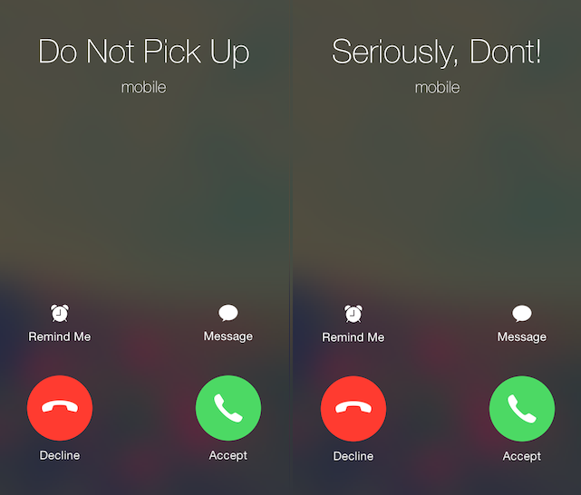 Years ago, when most people my age were in college trying to get an A in Calc, I was in uniform calculating dose reduction factors in civilian urban environments in nuclear terrorism simulations...so the "fear" of calling someone on the phone is pretty low on my fear list. I think it's right above my fear that my local Starbucks will be out of Splenda when I buy my skinny vanilla latte there today. And the "Derek if it doesn't work, you're just not making enough calls- make more!" argument? I literally wrote something about that awhile ago. IMHO, "more" isn't an answer - it's a dodge. It's a lazy way of answering a real and valid objection. "More" is a sign that someone isn't listening to you - they're just waiting for you to stop talking so they can say what they want to say. So, for many, for better and for worse, email has become a tool used (and overused, but that's a different post) to prospect for new business. Why? 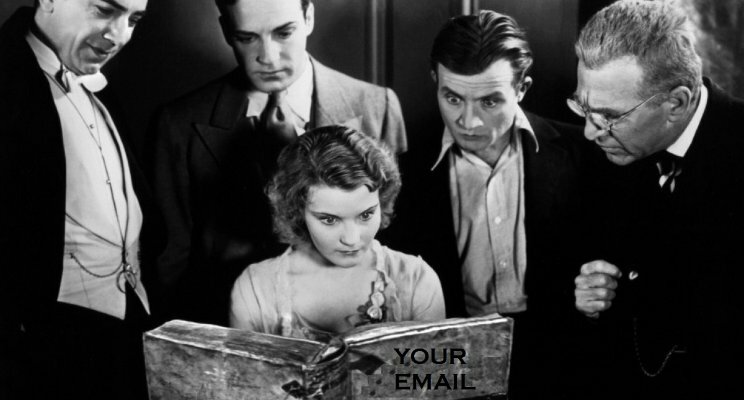 Well, love it or hate it - email is the primary method of communication in the business world. It's where our customers are. I know, I know. I'm sure we can have an argument about the phone and email and inbound vs. outbound. And I'm sure we can all have very vigorous arguments for and against whatever. And at the end of it all, we'll still end up going to lunch where my wife wants to. Errrrr, I mean....we'll still believe what we believe. So if you're not interested in reading about how to succeed with email prospecting, please go here watch a great video about phone prospecting. Takes a sec to load, but it's worth it. 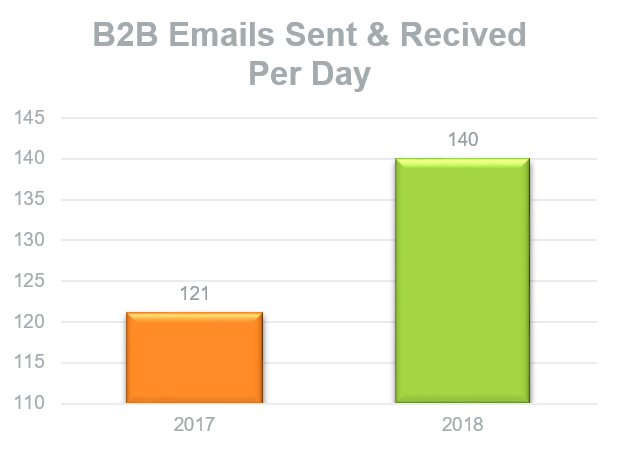 The Radicati Group reports that the average B2B worker will work on (send and receive) over 121 emails a day in 2017. Next year looks even bleaker. So you have to send the emails - let's agree on that. So how do you make sure they're read? The stock answer to this is "well you need to send better prospecting emails!" As the kids say, I'm gonna keep it 100 here: I don't know your secret sauce. I don't know why you're better than BRAND X. I don't know WHAT would be a compelling reason for prospects to open your email. News Flash - neither does any other "sales guru." You know who does? People who already bought your widget. Graham Hawkins calls them "your buyers" and rather than clicking on one of thoese 43 million web sites above, maybe you should listen to people who already exchanged money for your goods and services as to what is a "compelling message" regarding your offering. Eh? So if you're here to find a silver bullet - sorry. The wolf man lives another day. But let's say you actually talked to your customers and figured out what resonates with people who may be interested in your offering. So now you craft this great prospecting email, based on that info and you send it out to 300 "prospects." Because an email is not a phone call. When the phone is ringing and no one answers, I can't SEE what's going on "on the other side." But an email that isn't replied to? Yes. We. Can. Above is an email where the recipient, John, hasn't responded. I can see in the right hand pane that the email hasn't been read, no links have been clicked and John hasn't visited my website. Ring No Answer - right? Same email, Same message. Same time of day sent. This recipient, Sukumar, also hasn't responded - so he's just like John...right? Wait! But Sukumar has READ my email, he's click the LINK in the email and he's even VISTED my website...and looked at pricing. Ok sales kids - should John and Sukumar be equally wieghted in Salesforce as contacts? Should I treat them the same? They both failed to respond to my prospecting email, after all. Aren't both "no replies" equal? Conventional sales guru wisdom is "sending prospecting emails is a waste of time because no one is going to respond to them. Your kids will be skinny if you sit there waiting for people to respond to your emails. Get on the phone!" My take? Who cares if they respond? It's not necessary. Sure it would be great if they did. And if you follow Graham Hawkins advice, they just might. But look at Sukumar's "non-response." Look how he has interacted with me, with my links, with my website...with my brand. Maybe I need a new eye-glass prescription but that sure in the hell looks like a lead to me. If I were some kind of salesperson, might I take this "intel" and use it to craft a new, more personal message to Sukumar? Heck, now that I'm not reaching out COLD on Sukumar, maybe even pick up the phone? Why would I make 135 cold calls a day when I could MINE the data from my outbound emails to see where interest lies and where it doesn't? Why try and interrupt someone's day with something they know nothing about? Why not contact someone who has "some" interested in what I'm doing - they just haven't pulled the trigger yet to reach out. Just because someone doesn't answer the phone, that doesn't mean they're not interested in what you sell. The same goes for email - the lack of a reply doesn't mean they're no interest there. It's 2017 and the technology exists to interact with customers differently than we did in the 1990s. So why are we using 1990s prospecting rules with 21st century tools? In 1990, an unanswered phone call was not an Active Sales Opporunity. Period. In 2017, can you say the same about an unanswered email? I say - NOPE. What say you?